One of my favorite things to do when I'm stuck in a creative rut is this: I make graffiti. Now just in case you think I’m advocating buying some spray paint and vandalizing a few walls for fun and creative inspiration, that's not the kind of graffiti I'm talking about. I'm talking about the kind of graffiti that doesn't have to be painted over or otherwise removed by an unhappy shopkeeper. 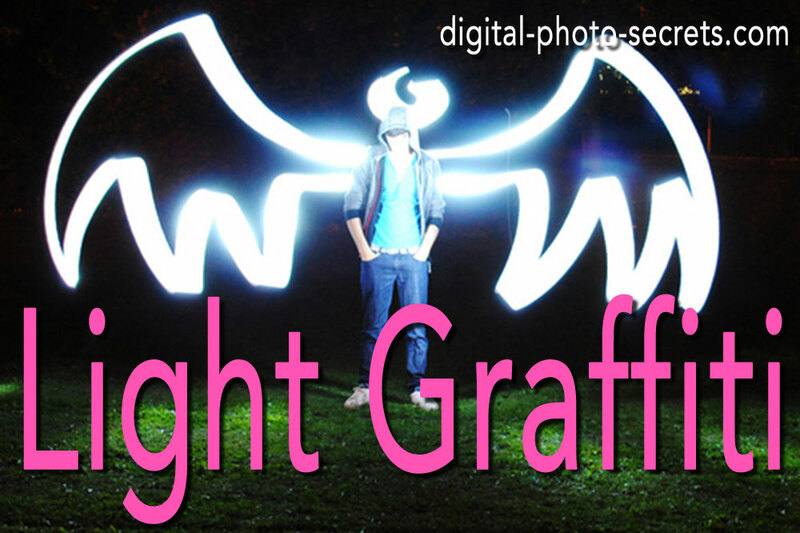 I'm talking about the kind of graffiti you can create with light. It's easy and fun, and here's how to do it. Light graffiti was fun back in the old days when you still had to capture all your photos on film, but it’s about a million times more fun today, now that you can see your results in real time, and make changes as you go. Light graffiti is a very simple idea. 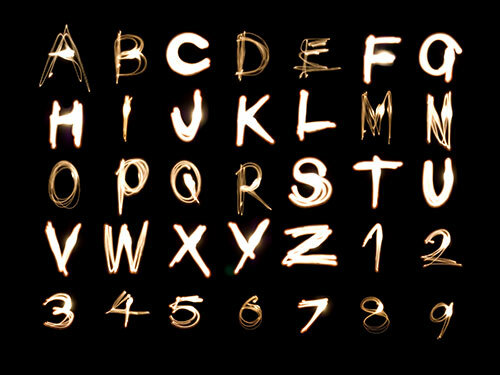 It's exactly what it sounds like — instead of making words with spray paint, you make words with light. Or, you can make hearts, squares or squiggly lines, or whatever it is you feel like painting. Your canvas is the air, so you’re really only limited by the length of your exposure. 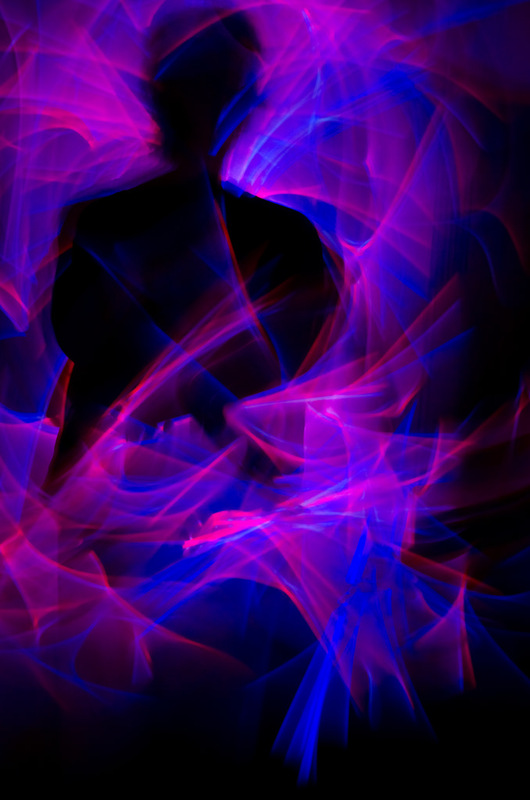 To make light graffiti work, you need it to be working in dark conditions. You can do this with a little bit of ambient light—blue hour is a good time to start, when you’ve got some ambient light in the scene you can capture the environment as well as the painted light. But keep in mind that the more ambient light there is in the scene the less time you have to work on your graffiti. If you leave the shutter open for too long, you will end up with an overexposed image. That's why when you're just starting to experiment with light graffiti, it’s a good idea to stick with darker environments. Keep in mind also that areas where there is a lot of traffic will not be the best areas to set up. The last thing you want is for a car to drive through the scene and spoil the image with those bright headlights. If you live in a rural area, your front yard would be a good place to set up—but if you live in the suburbs, your front yard may not work so well unless you have neighbors that don’t go out or accept visitors after sunset. 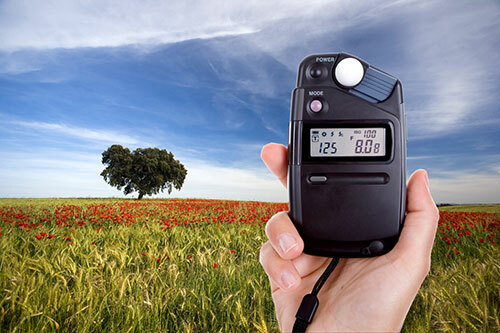 The first piece of equipment that you absolutely must have for this type of photography is a camera that lets you have control over your shutter speed. 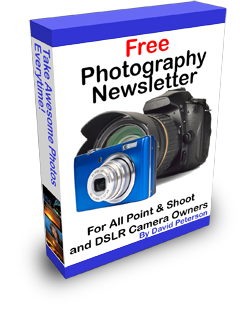 Most DSLRs and some point-and-shoot cameras will let you do this, but not all, so if you're not sure check your camera’s manual. If you can only work in scene modes, you're out of luck. If, however, your camera has a shutter priority mode, then you're all set. It is also helpful, though not completely necessary, to have a camera that can be set up in BULB mode. 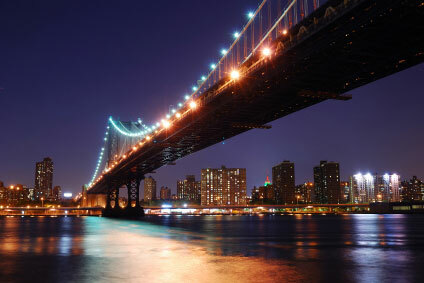 In BULB mode, your camera will give you the ability to open up the shutter and leave it open for as long as necessary. The way BULB mode works can be slightly different depending on which camera you own—on some cameras you press the button once to open the shutter and then again to close it. With other cameras the shutter button needs to remain depressed for the entirety of the shot—obviously, you don't do this with your finger, you do it with a remote release device. 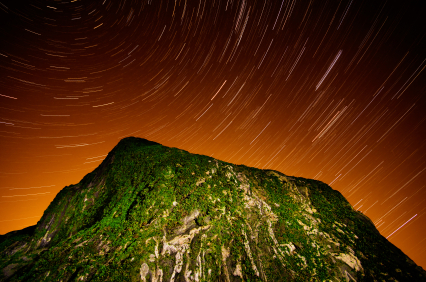 To go with your long shutter speed, obviously, you will also need a tripod. Choose a good, sturdy tripod, especially if you're going to be shooting in windy conditions or on uneven ground. And regardless of how your camera’s particular BULB mode function works, it’s still a good idea to have a cable or remote release. This is necessary during long exposures because even the simple act of pressing the shutter button can be enough to introduce camera shake in your photograph. Having said that, when you're shooting in darkness or near-darkness a cable release is less important—you could actually press the shutter button then wait a few seconds for the shake to subside before starting the light graffiti, since it will likely be too dark and your shutter speed too long for the camera shake to register in the final image. 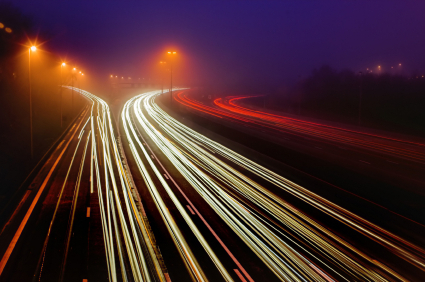 But if you’re going to be shooting during the blue hour or in a place where there’s some ambient light, camera shake may still be a problem—so as a general rule, it’s always a good idea to use that cable or remote release as a matter of practice whenever you are using long shutter speeds. 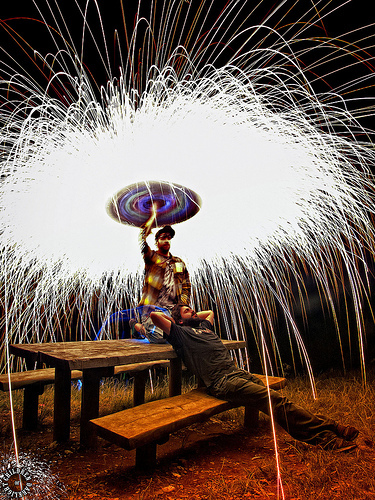 Once your camera is set up and ready to go, you'll need to get your light painting tools ready. For your paintbrush, you could use a flashlight fitted with a colored gel, you could use a glow stick, or you could use a Fourth of July sparkler. Or, you could try all three and see which effect you like the best. 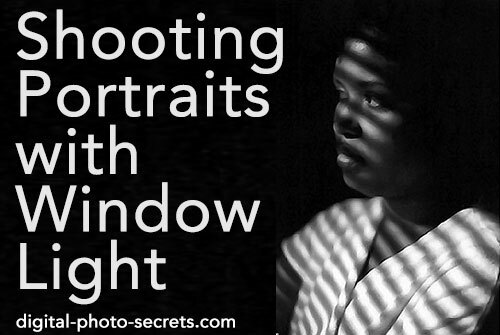 Keep in mind that the key to making this work is to make sure that your camera can see a hard point of light. In other words, if you're using a flashlight, the bulb needs to be directly facing the camera. This is easier when you're using a sparkler or a glow stick, because that hard point of light won't change significantly if you tilt the device in one direction or another. 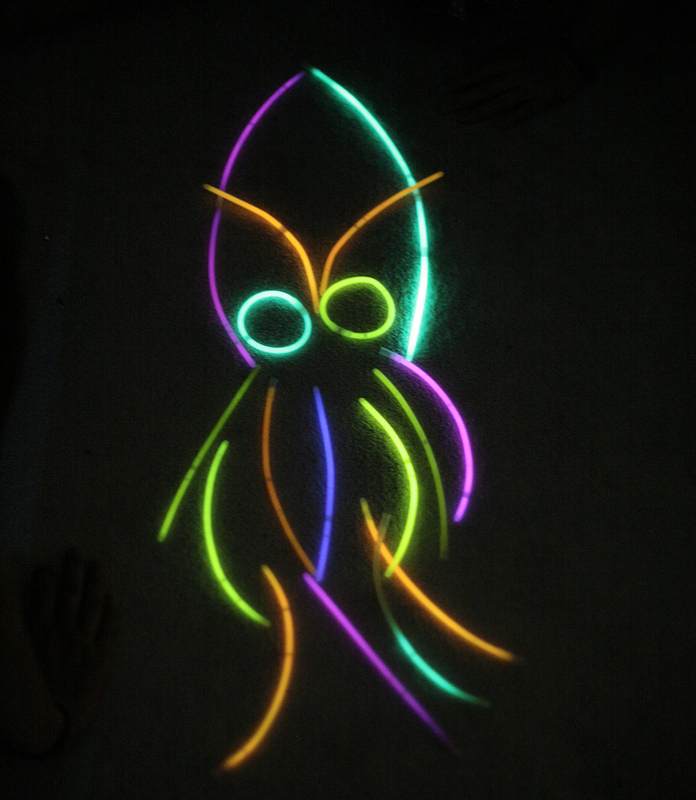 I recommend starting with glow sticks—sparklers burn out and glow sticks give you more flexibility to take your time. You can recruit an assistant, or you can do the light painting yourself, but remember if you're doing it yourself you’re going to have an easier time if you set your camera up in BULB mode. This will give you plenty of time to walk into the frame, make the drawing and walk out of the frame again. You might want to start with a simple, unbroken line such as a heart or a star—remember that it can be difficult to do this with precision because the lines that you “paint” into the air won’t remain there the way they would if you were spray-painting a wall. So it will almost certainly require a little bit of practice before you really start to get this right. Once you've mastered hearts and stars, you can move on to words. Start with short words, and remember a couple of things: first, you'll need to write in cursive because there's no way to add space between letters with a continually-lit tool such as a glowstick (though with practice you can add space with a flashlight just by turning it off at the end of a letter and back on again at the beginning of the next), and second you need to write backwards so that the words will appear the right way round in the photo. Remember that you're not just limited to painting those words in the sky, you can also illuminate other parts of a scene using a flashlight or even a reduced power burst from your speed-light. Using light-painting techniques may even be preferable to shooting when there's ambient light, because with light painting you have a lot more control over where you put the light and how long the exposure will be. With ambient light situations, your exposure time is limited by the amount of light in the scene—but when you're shooting in darkness or near darkness you can paint objects in at your own pace. 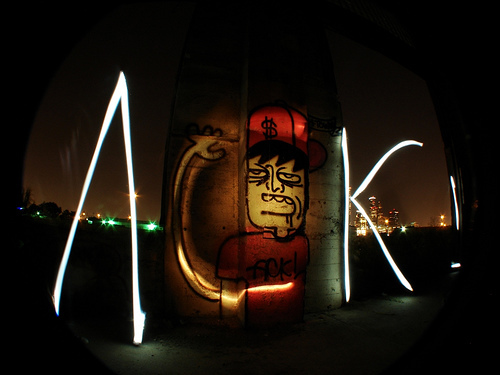 Besides writing words and drawing pictures you can also use light graffiti techniques to outline a subject, or to add color to existing objects and transform them into something surreal. Light graffiti is extremely creative and if you spend some time playing around with techniques I think you'll start to develop a knack for a favorite. Just remember to keep checking your LCD—this is one type of photography where I support “chimping” (frequent checking of your LCD) because you really do need to be checking every exposure to make sure that the techniques you're using are creating the results that you want. Make sure you zoom in on each image to verify focus and make adjustments as necessary. It's going to be a lot easier for you to focus if you're using an assistant, obviously, because you can lock on to his location as he makes a test stroke and then switch to manual so the focus stays put throughout the exposure. But that doesn't mean that you can't successfully create light graffiti if you’re going solo. You will need to make sure that you are pre-focusing on the part of the image where you intended to do the light painting, and that may mean placing some object in the frame temporarily to give you something to lock onto and a solid idea of where you need to stand when you’re making the painting. 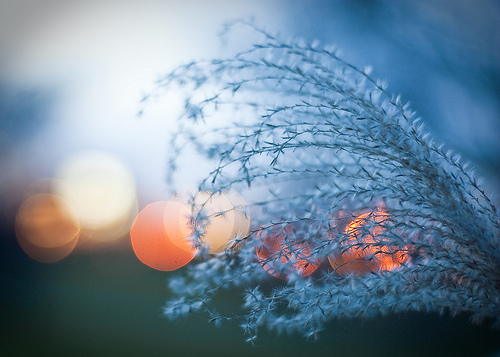 Again, make sure you switch to manual focus so that your focus it doesn't change during the exposure. Light graffiti is a ton of fun, especially if you bring along a friend to act as your assistant and to bounce some ideas off of. Don’t be afraid to try new things no matter how wacky they might seem at the time. 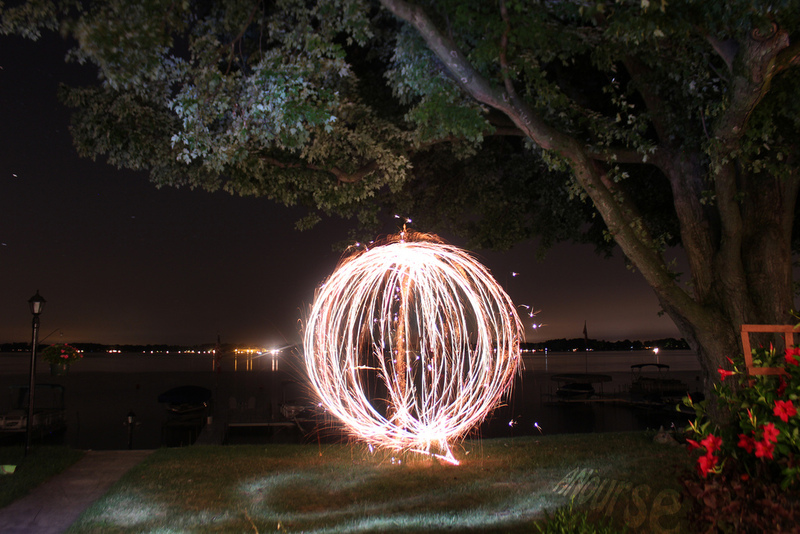 Light graffiti is only great if it makes your viewer smile, so the crazier the better. And while you’re doing it you can also take comfort in the fact that you can be a vandal without any negative repercussions. So spray paint the air to your heart’s content, and you won’t ever have to worry about those poor shopkeepers with their cans of clean white paint and turpentine.